Description: 312 p. : p., ill. (some col.) ;, 29 cm. Descriptor: Armed Forces -- Insignia -- History -- 20th century. Military uniforms -- History -- 20th century. World War, 1939-1945. Note(s): Originally published: London : Orbis, 1981. Description based on the 1981 edition. The book is an exceptional book with photos and color plates of uniform as of both major and minor players in World War II, do you want to know how a cook from the Mexican Army dressed for duty aboard a U.S. Navy battleship? This book has a color plate to let you know. All commonwealth forces are presented in every theater of operation. The same goes for other armed forces from just about every country that served in WWII. Each color plate is provided with detailed information about the uniforms and equipment being used. Description: , 33 p. : p., ill. (some col.). map, ports. ;, 25 cm. Similar in design to the Osprey books but lacking the color plates. The book is designed for the modeler and gives the basic information on uniforms and equipment used in the desert campaign. Because the LRDG, for the most part wore the standard British equipment, the book can be helpful if no other source is available. Description: 271 p.,  p. of plates : ill. ; 22 cm. Description: 340 p. : p., ill. ;, 29 cm. A coffee table book with tons of photos. The book covers the entire exploits of the British 7th Armoured Division, including its duty in Europe. While not the best source for information on the LRDG, it is helpful in that it gives a good over all picture of what it meant to be "on the blue". As such it gives perspective to the mission of the LRDG. Description: 206 p.,  p. of plates : ill., maps (on lining papers), ports. ; 25 cm. Written by the first Guards Patrol commander with help by later patrol commanders, G Patrol is a lively first hand account of this Long Range Desert Group. In many ways, G Patrol is the best read of the originals, that is the book written before 1960. Crichton-Stuart manages to not only tell a good story but he fills out a lot of the small details of how the LRDG opreated better than either Lloyd Owen or Kennedy Shaw. It may be that he was aided by going third so he could captialize on filling out what the others had missed. Description: xxii, 182 p. : p., ill., maps ;, 24 cm. One of many primary sources currently available. Timpson was an Eton educated Briton who gold mining in South Africa before the war. He commanded one of the Guards patrols in the LRDG. Among other things, Timpson came up with novel ways to attack moving convoys. He was injured in a jeep accident while crossing the Great Sand Sea en route to the raid on Barce. Jowett, Philip S., 1961- ; Andrew, Stephen. Description: 48 p. : p., ill. (some col.), ports. ;, 25 cm. Description: xv, 228 p. : ill. (some col.), maps, ports. (some col.) ; 31 cm. A secondary source book filled with tons of previously unpublished photos. 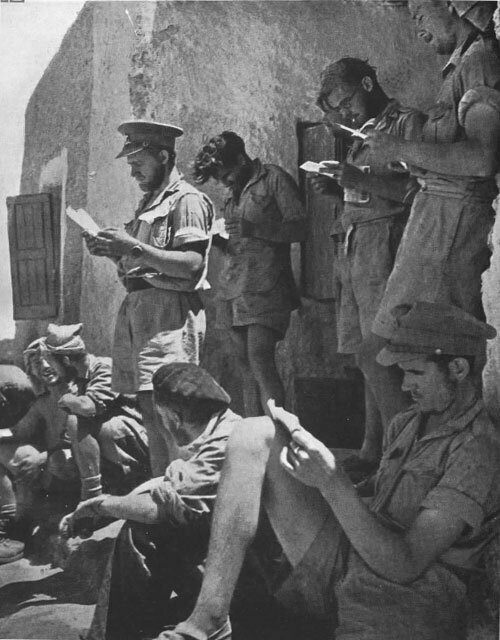 As a New Zealander, O'Carroll had the good fortune to have access to the diaries and personal belongings of many surviving members of the LRDG. As such he has presented a comprehensive yet concise book on their exploits. The book is hard to come by but well worth the hunt. Highly Recommended. Jenner, Bob. ; List, David. ; Sarson, Peter. ; Lyles, Kevin. Description: 40 p.,  p. of plates : p., ill. (some col.) ;, 25 cm. Typical of Osprey books and their Vanguard series, the book provided tons of photos, brief accurate information, and beautiful color plates. The first edition is better than the reprint, if you can get it. The color plates are especially helpful for the modeler. Much of the information provided is taken from original source material. A short concise reference book good for basic information. The chronology is especially helpful as is section on the make of the patrols. Description: 256 p. p., plates, ports., maps (1 fold. ), 21 cm. Not to be confused with the Jenner/List book, Shaw's book is the LRDG as seen by its intelligence officer. The book was originally written in 1945 and has since been reprinted. The reprint has blurry photos. I do not know the quality of the photos in the original print. This is not much of a problem, as many of the photos appear in other sources. What makes the book so important is it is the first of all first hand accounts of the LRDG and what they accomplished in the desert. This is a must read for anyone serious about the LRDG. Description: xxiii, 241 p.,  p. of plates : ill. ; 25 cm. An exceptional scholarly work with good information about the exploits of the LCP, Auto Saharan and other precursors of the LRDG. While lacking the flavor of the personal memoirs, Gordon has managed to glean a wealth of information from original documents and first hand accounts to provide an excellent overview of the role of special forces in North Africa and how this use of irregular warfare led to the establishment of later special forces groups world wide. The book also explains the distinguishing qualities that make a special forces unit different from "elite" units. Special Air Service enthusiasts may be a little put off by some of Gordon's comments concerning David Stirling and the SAS. In particular, Gordon discusses Stirling's disregard for the operations of other units operating behind the lines, which sometimes led to the missions of other units being compromised. This becomes especially clear after the failure of the Tobruk. All units were aware where other units were conducting operations and were not to over lap their areas of operation but Stirling often failed to follow this order. 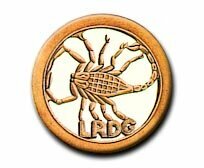 In one episode Gordon explains how SAS raids in an area where the LRDG was conducting a road watch led to several members of the LRDG being killed or captured. The book also explains the less than professional circumstances surrounding the capture of the Phantom Major and his entire patrol without a single shot being fired. Description: xviii, 238 p.,  p. of plates : p., ill., ports. ;, 25 cm. Along with WBKS' book, DLO's book is another must read. The book nicely compliments and affirms WBKS' work but gives a new perspective. DLO came to the unit after it was formed, had no experience in their strategy and tactics, and had to start from scratch. From these humble beginnings, he went on to take part in the major missions of the Group and until he finally became the Group Commander. an exceptional first hand account. Description: , 160 p. : p., ill., maps, ports. ;, 21 cm. Series: The Pan/Ballantine illustrated history of World War II. campaign book; Variation: Pan/Ballantine illustrated history of World War II. ; campaign books. Probably the book that got me started on the LRDG. The book is a good secondary source work filled with photos and line drawings. It covers the exploits of the LRDG and SAS along with other special operations. all of the major raids are covered. From the name, you can guess that more emphasis is placed on the Special Air Service, however there is a good treatment of the LRDG, especially before the arrival of David Stirling and his "L detachment". Description: xiii,  p. of maps, 268 p. : p., ill., maps, ports. ;, 25 cm. SUBJECT(S) Named Corp: Great Britain. Army. Special Air Service Regiment. Note(s): Originally published: London : Murray, 1991./ Includes bibliography. Description: 185 p. : p., ill. ;, 21 cm. Descriptor: World War, 1939-1945 -- Secret service -- Great Britain. World War, 1939-1945 -- Underground movements -- Europe. World War, 1939-1945 -- Equipment and supplies. Named Corp: Great Britain. Special Operations Executive. Responsibility: [by] Jacques Bergier ("Verne"); translated from the French by Edward Fitzgerald. An excellent book of the weapons and equipment used by the British Special Operations Executive (SOE) during World War II The book is filled with fabulous line drawings and detailed exacting information on just about everything the resistance and the SOE would have needed. The information of Radio equipment and ciphers is exceptional. Description: 288 p. : p., col. ill., col. photos. ;, 30 cm. Description: 144 p. : p., ill. (some col.) ;, 30 cm. Description: xii, 209 p.,  p. of plates : ill., maps ; 24 cm. Before becoming commander of the LRDG, Bagnold was an inventor and explorer. He never stopped being either.